Cas One Vs. Figure “SO OUR EGOS DON’T KILL US” LP dropped April 21, 2017 on STRANGE FAMOUS! Check out all available exclusive packages (including CD, Cassette, & Colored Vinyl LP options) here. 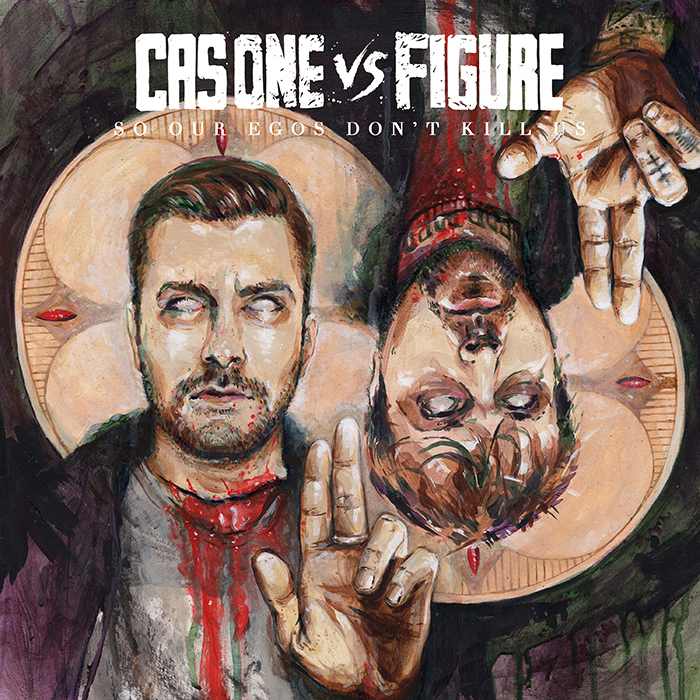 Known individually throughout indie-rap circles and the EDM world, long-time collaborators Cas One and Figure have made their artistic union official with their signing to Strange Famous Records under the moniker “CAS ONE Vs. FIGURE.” Their first full-length group album, “SO OUR EGOS DON’T KILL US”, is available now. Check out the first video “STAYING GOLD”, directed by Eric Hunter! 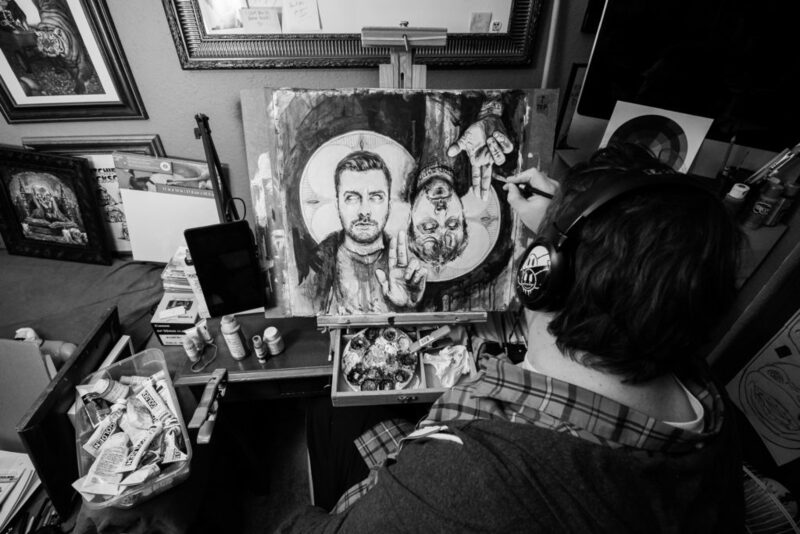 On the first single, “Staying Gold”, Cas portrays Ponyboy Curtis of The Outsiders as one of the 4 Horsemen of the Apocalypse, while songs like “The Devil & Jacob Snider” feature soulful horn bursts piercing an atmosphere of sullen, smoky confessions. 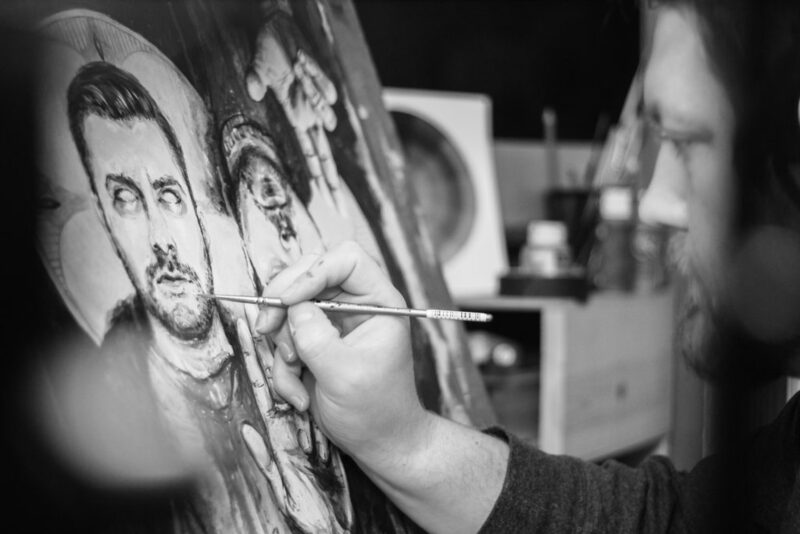 It’s an impressive juggling act between the somber and absurd, played out against a sonic landscape painted by a steady yet impressively inventive hand. Cas One Vs. Figure are joined by a cadre of indie rap all-stars on their debut outing, including appearances by Sage Francis, B. Dolan, P.O.S., Del The Funky Homosapien, and many more. Listen to “Time Bomb” featuring SAGE FRANCIS! The release of SOEDKU coincided with “The Four Horsemen Tour” in Spring 2017 when Cas and Figure joined B. Dolan, DJ Abilities, and Dope KNife on a full U.S. run (dates & ticket links here). Exclusive “So Our Egos Don’t Kill Us” packages (including CD, Limited Edition Colored Vinyl LP, Cassette & Digital Download options) are available now here! 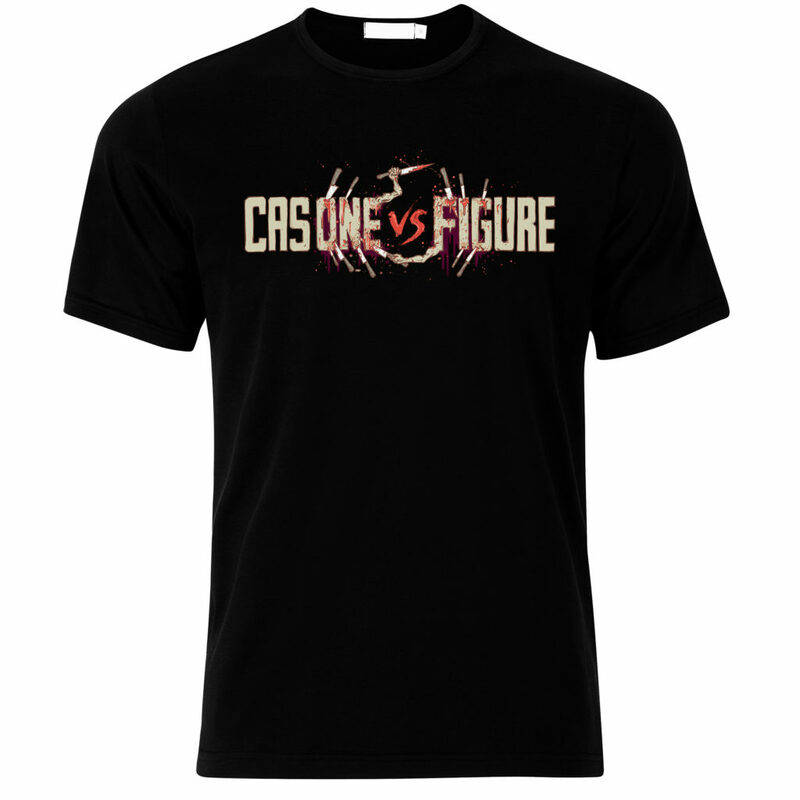 CAS ONE Vs FIGURE Logo T-Shirts are now available! Click here to cop yours.